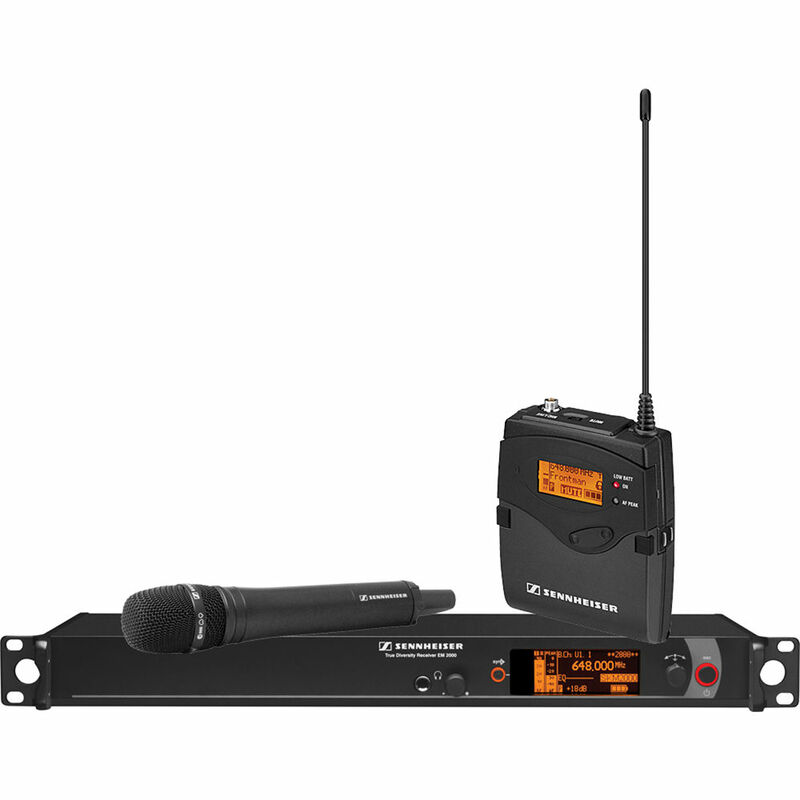 The Sennheiser 2000 Series Single Handheld Wireless Microphone System consists of the Sennheiser EM 2000 Wireless Receiver and SKM 2000-XP Handheld Transmitter with MMK965 (black finish) cardioid and supercardioid switchable, condenser microphone capsule attached. The system yields up to 3000 UHF frequencies and 20 fixed frequency bands with up to 64 compatible presets. An integrated active splitter allows up to 16 channels without using external splitters, and True Diversity technology minimizes RF noise and drop-out while increasing range and clarity. Ethernet allows the system to be networked with a PC, and remotely controlled with Sennheiser's WSM software. Additional features include a full programmable EQ, channel scanning, infrared syncing between the transmitter and receiver, user-friendly back-lit LCD interface, adjustable headphone output and more. Finally, Sennheiser Control Cockpit Software (download) offers easy handling, control, and maintenance for the Digital Wireless System. It provides a global overview of all network-enabled devices, shows all status information, and makes setting adjustments very easy.